^ a b c "Constitution of Bosnia and Herzegovina" (PDF). Retrieved 6 March 2015. ^ "Demography 2016" (PDF). Retrieved 24 October 2018. ^ "Distribution of family income – Gini index". The World Factbook. TWB. Retrieved 29 October 2017. ^ "Human Development Report 2018" (PDF). United Nations. 2017. Retrieved 29 October 2017. ^ a b c d "Census of population, households and dwellings in Bosnia and Herzegovina, 2013: Final results" (PDF). Agency for Statistics of Bosnia and Herzegovina. June 2016. Retrieved 1 July 2016. ^ "Inside Film's Guide to Film Festivals". Inside Film. Retrieved 12 February 2016. ^ "Human Development Indices and Indicators: 2018 Statistical Update" (PDF). UNDP. Retrieved 16 September 2018. ^ Robert J. Donia, John V.A Fine (2005). Bosnia and Hercegovina: A Tradition Betrayed. C. Hurst & Co. Publishers. , p. 71; In the Middle Ages the Bosnians called themselves "Bosnians" or used even more local (county, regional) names. ^ John V.A. Fine. "What is a Bosnian?". London Review of Books; Vol.16 No.8. 28 April 1994. pp. 9–10. ^ Banac, Ivo (1988). 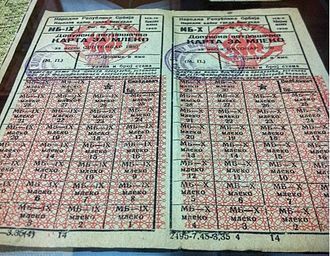 The National Question in Yugoslavia: Origins, History, Politics. Cornell University Press. p. 149. ISBN 978-0-8014-9493-2. Retrieved 4 December 2013. ^ Danijela Nadj. 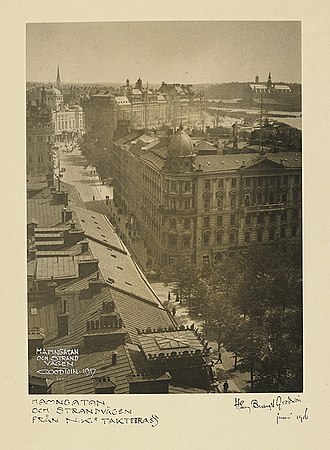 "An International Symposium "Southeastern Europe 1918–1995"". Hic.hr. 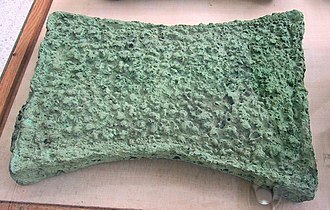 Retrieved 14 June 2006. ^ "Balkan 'Auschwitz' haunts Croatia". BBC News. 25 April 2005. ^ Ramet, Sabrina P. (2006). The Three Yugoslavias: State-Building and Legitimation, 1918–2005. Bloomington: Indiana University Press. p. 145. ISBN 978-0-253-34656-8. ^ Tomasevich, Jozo (1975). 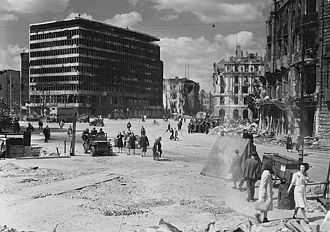 War and Revolution in Yugoslavia, 1941–1945: The Chetniks. Stanford: Stanford University Press. pp. 256–261. ISBN 978-0-8047-0857-9. ^ a b Geiger, Vladimir. "Human Losses of the Croats in World War II and the Immediate Post-War Period Caused by the Chetniks (Yugoslav Army in the Fatherand) and the Partisans (People's Liberation Army and the Partisan Detachments of Yugoslavia/Yugoslav Army) and the Communist Authorities: Numerical Indicators". Croatian Institute of History: 85–87. ^ Žerjavić, Vladimir. Yugoslavia manipulations with the number Second World War victims. Croatian Information Centre. ISBN 0-919817-32-7. Retrieved 12 February 2016. ^ "The International Criminal Tribunal for the Former Yugoslavia, Case NO: IT-01-47-PT (Amended Indictment)" (PDF). 11 January 2002. Retrieved 1 January 2009. ^ Bose, Sumantra (2009). Contested lands: Israel-Palestine, Kashmir, Bosnia, Cyprus, and Sri Lanka. Harvard University Press. p. 124. ^ D. Grant, Thomas (2009). Admission to the United Nations: Charter Article 4 and the Rise of Universal Organization. Martinus Nijhoff Publishers. p. 226. ^ "The humanitarian operation in Bosnia, 1992–95: the dilemmas of negotiating humanitarian access" (PDF). United Nations High Commission for Refugees. May 1999. Retrieved 24 June 2008. ^ "Bosnia holds ceremony for remains of 284 found in mass grave". MSN News. Retrieved 20 July 2014. ^ "Bosnian protests: A Balkan Spring?". bbc.co.uk. 8 February 2014. Retrieved 8 February 2014. ^ Bilefsky, Dan (8 February 2014). "Protests Over Government and Economy Roil Bosnia". nytimes.com. Retrieved 8 February 2014. 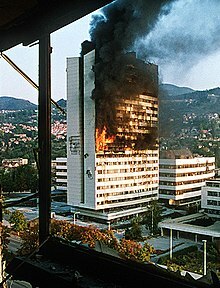 ^ "Bosnian Protesters Torch Government Buildings In Sarajevo, Tuzla". rferl.org. 8 February 2014. Retrieved 8 February 2014. ^ "Bosnia–Hercegovina protests break out in violence". bbc.co.uk. 8 February 2014. Retrieved 8 February 2014. ^ "Bosnian protesters storm government buildings". smh.com.au. 8 February 2014. Retrieved 8 February 2014. ^ "Parliamentarism in Bosnia and Herzegovina during the period 1945 – 1990". 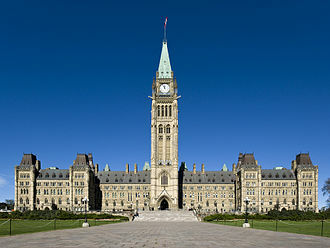 www.parlament.ba. ^ Marjan Nikolov and Borce Trenovski and Gabriela Dimovska (2015). "Open and transparent budget process in Western Balkan countries" (PDF). MPRA Paper No. 76299. ^ "Bosnia breaks through ethnic divide by merging Serb, Muslim-Croat forces". Stars and Stripes. 11 January 2006. Retrieved 13 March 2015. ^ "Bosnia gets Nato membership plan". 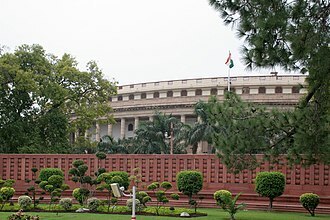 2010-04-22. Retrieved 2019-03-09. ^ "NATO Approves Membership Action Plan for Bosnia". Balkan Insight. 2018-12-05. Retrieved 2019-03-09. ^ Ljubas, Zdravko (3 February 2011). "Hopes Fade For Census in Bosnia in 2011". Balkan Insight. Retrieved 1 July 2016. ^ Kurt, Senka (1 August 2011). "Bosnia Edges Closer To Population Census". Balkan Insight. Retrieved 26 March 2013. ^ "Second Class Citizens: Discrimination against Roma, Jews, and Other National Minorities in Bosnia and Herzegovina". Human Rights Watch. 4 April 2012. Retrieved 1 July 2016. ^ Toe, Rodolfo (30 June 2016). "Census Reveals Bosnia's Changed Demography". Balkan Insight. Retrieved 1 July 2016. ^ Toe, Rodolfo (30 June 2016). "Bosnia to Publish Census Without Serb Agreement". Balkan Insight. Retrieved 1 July 2016. ^ "Bosnia–Herzegovina has lost a fifth of its pre-war population". The Guardian. 2016. ^ "Reservations and Declarations for Treaty No.148 – European Charter for Regional or Minority Languages". 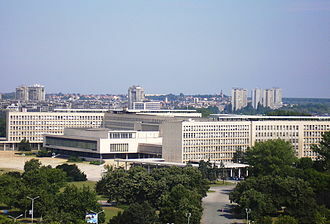 Council of Europe. Council of Europe. Retrieved 25 April 2017. ^ "Final results" (PDF) (pdf). Popis 2013 BiH. Retrieved 19 December 2017. ^ Ciric, Aleksandar. "A Divided Bosnia, January 29, 1996". Retrieved 12 February 2016. ^ "Post-conflict Bosnia and Herzegovina – Martha Walsh – Employment Sector". ILO. Retrieved 5 May 2009. ^ "GDP per capita in PPS". Eurostat. Retrieved 1 October 2011. ^ Elvira M. Jukic. "IMF To Loan Bosnia $500 Million". Balkan Insight. Retrieved 26 March 2013. ^ "Direct foreign investments 2014". ^ "Siva ekonomija čini 25 posto BDP-a BiH". ^ "BiH povećala izvoz u 2017. godini: Evo koje države najviše uvoze naše proizvode - Kameleon M&M". radiokameleon.ba. ^ "Izvoz u prošloj godini premašio 11 milijardi KM i povećan za 17 posto". ^ "Nezaposlenost prvi put ide ispod 20 posto - Biznis Info". 15 March 2018. 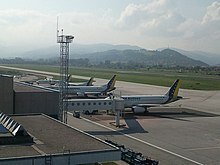 ^ "Javni dug BiH prošle godine smanjen za 744,59 miliona KM". ^ "Više od 30.000 bh. kompanija ostvarilo ukupni prihod od 65 milijardi KM". ^ "U 2017. u BiH investirano 777,7 miliona KM - Biznis Info". 9 August 2018. ^ "Američki IBM: BiH treća u svijetu po stranim investicijama, prema broju stanovnika - Biznis Info". 6 September 2018. ^ "Prosječna cijena prodatih novih stanova u BiH 1.639 KM". ^ "Javni dug BiH oko 11,8 milijardi KM". www.6yka.com. ^ "U sedam mjeseci BiH posjetilo više od 800.000 turista - Biznis Info". 10 September 2018. ^ "EAD Basic – Error Page". eurocontrol.int. Retrieved 12 February 2016. ^ "Bosnia–Herzegovina – Telecoms Market Overview & Statistics Report Covers the Regulatory Environment, Major Players and Market Developments". Businesswire.com. 8 October 2008. Retrieved 3 January 2009. ^ Udovicic, Radenko (3 May 2002). What is Happening with the Oldest Bosnian-Herzegovinian Daily: Oslobođenje to be sold for 4.7 Million Marks Mediaonline.ba: Southeast European Media Journal. ^ "Al Jazeera Launches Its Balkans Broadcast Centre". London: The Guardian. 11 November 2011. ^ Vučićević, Bojan. "Growing Influence of Global Media in Balkans". Media Center Sarajevo. Retrieved 22 April 2018. ^ "U BiH tokom 2017. registrovano više od 3 miliona korisnika interneta". ^ "BiH: U 2017. ostvareno 1,3 miliona turističkih posjeta i 2,6 miliona noćenja". ^ Polat, Anil (27 March 2012). "The Best City To Visit Travel Tournament 2012: Championship". Foxnomad. Retrieved 30 March 2012. ^ Vatican Probes Claims of Apparitions at Medugorje, Reuters.com; retrieved 17 March 2010. ^ Bangs, Richard (10 January 2013). 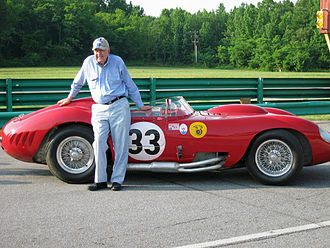 "13 Greatest Adventures For 2013". The Huffington Post. Retrieved 11 January 2013. ^ Caludio Agostoni, Parallelzero. "Exploring Tito's Cold War bunker". gulfnews.com. ^ "Education System in Bosnia and Herzegovina". 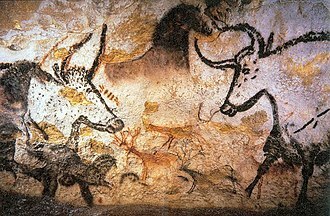 EuroEducation.net – The European Education Directory. ^ "Home Festival Awards & Juries: International Jury "Prizes Of The International Jury". www.berlinale.de/en. 2016. Retrieved 23 February 2016. ^ "Bosnia and Herzegovina". Encyclopædia Britannica. 2009. Retrieved 27 July 2009. ^ "Serbian cuisine". TravelSerbia.Info – Your travel guide for Serbia. Retrieved 9 August 2010. Albertini, Luigi (2005). Jochen Thies, ed. The Origins of the War of 1914. Enigma Books. ISBN 978-1-929631-26-1. 1 Declared independence from Serbia on 17 February 2008 and is recognised by 113 United Nations member states. Bosnia and Herzegovina fell under Austro-Hungarian rule in 1878 when the Congress of Berlin approved the occupation of the Bosnia Vilayet, which officially remained part of the Ottoman Empire. 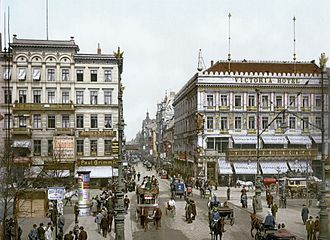 Following the Russo-Turkish War of 1877-78, in June and July 1878 the Congress of Berlin was organized by the Great Powers, according to article 25, The provinces of Bosnia and Herzegovina shall be occupied and administered by Austria-Hungary. To this end the governments of Austria-Hungary and Turkey reserve to themselves to come to an understanding on the details, the primary commander was Josip Filipović, the forward XVIII infantry division was under the command Stjepan Jovanović, while the rear army commander in Dalmatia was Gavrilo Rodić. 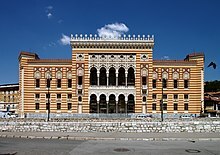 The occupation of Bosnia and Herzegovina started on 29 July 1878 and was over on 20 October, the Ottoman army in Bosnia and Herzegovina at the time consisted of roughly 40,000 troops with 77 cannons, that combined with local militias to around 93,000 men. Despite setbacks at Maglaj and Tuzla, Sarajevo was occupied in October 1878, Austro-Hungarian casualties amounted to over 5,000 and the unexpected violence of the campaign led to recriminations between commanders and political leaders. Fierce resistance from Muslims was expected as Austro-Hungarians realized their occupation meant that Bosnian Muslims would lose their status based on their religion. Tensions remained in parts of the country and a mass emigration of predominantly Muslim dissidents occurred. The Austro-Hungarian administration advocated the ideal of a pluralist and multi-confessional Bosnian nation, between 1861 and 1869, Topal Osman Pasha, an Ottoman grand vizier had striven to do the same. Croats and Serbs who opposed the policy mostly ignored Bosnian nationhood and instead sought to claim Bosnian Muslims as their own, the idea of a unified South Slavic state became a popular political ideology in the region at this time, including Bosnia and Herzegovina. Certain Muslim circles in Bosnia and Herzegovina published the newspaper Bošnjak and this newspaper caused fierce discussions in Bosnia and Herzegovina and Serbia. The newspaper supported Kállays policy, whose goal was to strengthen Austro-Hungarian rule in occupied Bosnia, although Kállays policy was not widely accepted even amongst Muslims, Bošnjak nevertheless represented the national aspirations of some Muslims in Bosnia and Herzegovina. Herzegovina is the southern region of Bosnia and Herzegovina. Measurements of the range from 11,419 km2, or around 22% of the total area of the present-day country, to 12,276 km2. The name Herzegovina means dukes land, referring to the duchy of Stjepan Vukčić Kosača who took the title Herceg of Saint Sava. Herceg is derived from the German title Herzog, the terrain of Herzegovina is mostly hilly karst with high mountains in the north such as Čvrsnica and Prenj, except for the central valley of the river Neretva River. The largest city is Mostar, in the center of the region, other larger towns include Trebinje, Stolac, Široki Brijeg, Ljubuski, Konjic, and Čapljina. Borders between Bosnia and Herzegovina are unclear and often disputed, the upper flow of the Neretva River lies in the northern parts of Herzegovina, a heavily forested area with fast flowing rivers and high mountains. Towns like Konjic and Jablanica lie in this area, considered by many the most beautiful part of Bosnia, the Neretva rises on Lebršnik Mountain, close to the border to Montenegro, and as the river flows towards west, it enters Herzegovina. The entire upper catchment of Neretva constitutes a precious ecoregion with many endemic, the Rakitnica River flows into Neretva upstream from Konjic. The Neretva flows towards northwest, through the town of Konjic, the river enters the Jablanica Reservoir, one of the largest in Bosnia and Herzegovina. The lake ends near the town of Jablanica, from here on, the Neretva turns southward continuing its course towards the Adriatic Sea. With mountains lining its shores gradually receding, the Neretva enters a valley where the city of Mostar lies and it flows under the well-known old bridge and continues now more widely flowing towards the town of Čapljina and the Neretva Delta in Croatia before emptying into the Adriatic Sea. Mostar is the best known and the unofficial capital and it is the only city with over 100,000 citizens. There are no large cities in Herzegovina, though some have illustrious histories. Stolac, for example, is perhaps the oldest city in Herzegovina, there have been settlements dating from the Paleolithic period. Valentin Inzko is an Austrian diplomat of Carinthian Slovene origin. He is currently serving as the High Representative for Bosnia and Herzegovina, between 2009 and 2011 he served as the European Union Special Representative for Bosnia and Herzegovina. Inzko was born into a Slovene-speaking family in Klagenfurt and his father, Valentin Inzko Sr. was a renowned cultural and political activist of the local Slovene minority. Valentin Jr. attended a Slovene-German bilingual school in Suetschach in the municipality of Feistritz im Rosental, after finishing the Slovene language high school in Klagenfurt in 1967, he enrolled in the University of Graz, where he studied law and Slavic philology. Between 1972 and 1974, he attended the Diplomatic Academy of Vienna, in 1974, he entered the Austrian diplomatic service. Between 1982 and 1986, he worked as press attache at the Austrian embassy in Belgrade, after that, he worked at the Austrian mission to the United Nations. Between 1990 and 1996, he worked as the cultural attache at the Austrian embassy in the Czech Republic, between October and December 1992, he was a member of the Organization for Security and Co-operation in Europe mission to the Sandžak region in Serbia. Bosnia is the northern region of Bosnia and Herzegovina, encompassing roughly 80% of the country, the other eponymous region, the southern part, is Herzegovina. Bosnia is a term for the whole country. The two regions have formed a geopolitical entity since medieval times, and the name Bosnia commonly occurs in historical and geopolitical senses as generally referring to both regions, the official use of the combined name started only in the late period of Ottoman-rule. Bosnia lies mainly in the Dinaric Alps, ranging to the borders of the Pannonian plain, with the rivers Sava. The area of Bosnia comprises approximately 41,000 km2, and makes up about 80% of the territory of the state of Bosnia. There are no borders between the region of Bosnia and the region of Herzegovina. Unofficially, Herzegovina is south of the mountain Ivan planina, according to another unofficial definition, Herzegovina encompasses watersheds Neretva and Trebišnjica rivers. The historical records of the region are scarce until its first recorded standalone ruler and viceroy of Bosnian state, Ban Borić, de Administrando Imperio describes a small župa of Bosona that was located around the river Bosna in the modern-day fields of Sarajevo and of Visoko. The area is thought to have been inhabited by the Illyrian tribe of the Daesitiates. Under its first known ruler, Duke of Bosnia, in the 1080s, the region spanned the upper course of the rivers Bosna, the Vrbas. At the end of the 14th century, under Tvrtko I of Bosnia, the kingdom lost its independence to the Ottoman Empire in 1463. The region of Bosnias westernmost city at the time of the conquest was Jajce, the Ottoman Empire initially expanded into Bosnia and Herzegovina through a territory called the Bosansko Krajište. It was transformed into the Sanjak of Bosnia and the Sanjak of Herzegovina after 1462/1463, following the Great Turkish War, in the 18th century the Eyalet came to encompass the area largely matching that of todays Bosnia and Herzegovina. In 1833, the Eyalet of Herzegovina was temporarily split off under Ali-paša Rizvanbegović, the area acquired the name of Bosnia and Herzegovina in 1853 as a result of a twist in political events following his death. After the 1864 administrative reform, the province was named Vilayet of Bosnia, Austria-Hungary occupied the whole country in 1878. Bosnians (Bosnian and Serbian, Bosanci/Босанци, Bosnian are people who live in Bosnia, or who are of Bosnian descent. Bosnia is one of two regions of Bosnia and Herzegovina. According to the latest official population census made in Bosnia and Herzegovina, most of the people identified with Bosniak, some people identified with Bosnian nationality, however these are listed under the category Others. According to the latest population census, there were around 2. 7% Others and this includes, but is not limited to, members of the constituent ethnic groups of Bosnia and Herzegovina, Bosniaks and Croats. Those who reside in the geographical region of Herzegovina usually prefer to identify as Herzegovinians. CIA factbook, used in this article as a source for numbers, instead it mentions Bosnian, Herzegovinian thereby emphasizing the regional significance and equity between the terms. Ethnic minorities in this territory, such as Jews, Albanians and others, other times they use the term Herzegovinians. In addition, a population in Bosnia and Herzegovina believe that the term Bosnians defines a people who constitute a distinct collective cultural identity or ethnic group. According to the latest census however, this population doesnt rise above 2. 7%, the earliest cultural and linguistic roots of Bosnian history can be traced back to the Migration Period of the Early Middle Ages. At that time, the Slavs from southeastern Europe invaded the Eastern Roman Empire, from the chaos of the Dark Ages, from 800 AD, the Slavic tribes coalesced into early principalities. 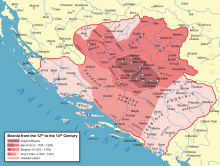 As these expanded, they came to include other Slavic tribes and territories, according to the most important source for west balkans medieval history, Byzantinian source De Administrando Imperio, most of Bosnia region was divided by Croats and Serbs. 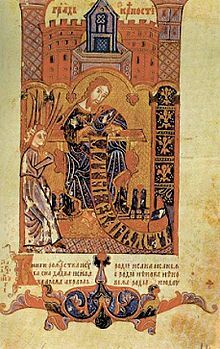 No Bosnians are mentioned as a nationality in the vast pages of DAI, in the twelfth century, a Bosnian state arose that was characterized by an independent religious structure. It developed as a kingdom in the fourteenth century, the designation Bošnjani was used to describe the kingdoms inhabitants. The Presidency of Bosnia and Herzegovina is the three-member body which collectively serves as head of state of Bosnia and Herzegovina. Together, they serve one four-year term, the member with the most votes becomes the chairperson unless he or she was the incumbent chairman at the time of the election, but the chairmanship rotates every eight months, to ensure equality. More than 95% of population of Bosnia and Herzegovina belongs to one of its three constituent nations, Bosniaks and Croats. According to the Constitution, the Presidency consists of three members, one Bosniak and one Croat elected from the Federation and one Serb elected from the Republika Srpska, kecmanović soon left, and was replaced by Tatjana Ljujić-Mijatović. After a while, Abdić was replaced with Nijaz Duraković, ante Jelavić was replaced by Jozo Križanović for the remainder of his term based on a decision issued by Wolfgang Petritsch, High Representative for Bosnia and Herzegovina. Mirko Šarović resigned in 2003 due to his implication in the scandal regarding the selling of arms to Iraq, the Parliament replaced him with Borislav Paravac. These accords put an end to the 3 1⁄2-year-long Bosnian War, one of the Yugoslav Wars. During September and October 1995, world powers, gathered in the Contact Group, the conference took place from 1–21 November 1995. The peace conference was led by U. S, a key participant in the US delegation was General Wesley Clark. The head of the UK team was Pauline Neville-Jones, political director of the Foreign, the UK military representative was Col Arundell David Leakey. Paul Williams, through the Public International Law & Policy Group served as counsel to the Bosnian Government delegation during the negotiations. Curbing the participants ability to negotiate via the media was an important consideration. Richard Holbrooke wanted to prevent posturing through early leaks to the press, the agreements main purpose is to promote peace and stability in Bosnia and Herzegovina, and to endorse regional balance in and around the former Yugoslavia, thus in a regional perspective. 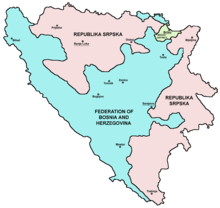 A key component of this was the delineation of the Inter-Entity Boundary Line, the State of Bosnia Herzegovina was set as of the Federation of Bosnia-Herzegovina and of the Republika Srpska. Bosnia and Herzegovina is a state, as opposed to a confederation, no entity or entities could ever be separated from Bosnia. 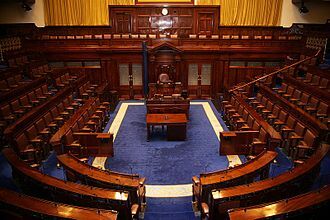 Although highly decentralised in its Entities, it would retain a central government, with a rotating State Presidency, a central bank. The agreement mandated a wide range of organizations to monitor, oversee. The NATO-led IFOR was responsible for implementing military aspects of the agreement and deployed on 20 December 1995, the Office of the High Representative was charged with the task of civil implementation. 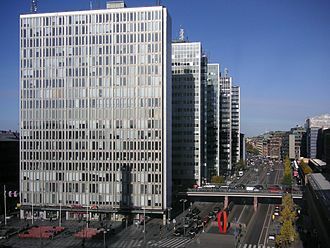 The Organization for Security and Co-operation in Europe was charged with organising the first free elections in 1996. The Court rejected the other request stating, This was one of the cases in which the Court had to deal with the question of the legal nature of the Constitution. In decisions the Court confirmed this by using other annexes of the agreement as a direct base for the analysis. The Court used the same reasoning to dismiss the claim in a case. Before the Dayton agreement Bosnian Serbs controlled about 46% of Bosnia and Herzegovina, Bosniaks 28%, Bosnian Serbs got large tracts of mountainous territories back, but they were pressured to surrender Sarajevo and some vital Eastern Bosnian/Herzegovian positions. The national flag of Bosnia and Herzegovina contains a wide medium blue vertical band on the fly side with a yellow right triangle abutting the band and the top of the flag. The remainder of the flag is blue with seven full five-pointed white stars. The three points of the stand for the three constituent peoples of Bosnia and Herzegovina, Bosniaks and Serbs. The triangle represents the shape of the territory of Bosnia. The stars, representing Europe are meant to be infinite in number, the flag features colours often associated with neutrality and peace – white and yellow. They are traditionally associated with Bosnia. The blue background is suggestive of the flag of Europe, the present scheme is being used by both the Council of Europe which owns the flag and the European Union which adopted the Council of Europes flag in 1985. The green flag with the crescent and star pointing to the left was used by Bosniak landlords in border parts in southern and western Herzegovina. The flag was most commonly used in wars and it accompanied the troops of the Eyalet of Bosnia during the second siege of Khotyn in Bukowina. It differs from Ottoman flag by size and direction of crescent, in the 1830s revolt by Husein Gradaščević the green flag with a yellow crescent and star was used. 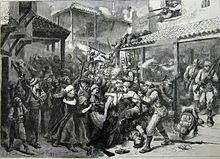 The revolts aim was for Bosnia to gain autonomy from the Ottoman Empire, in 1878 Bosnia existed briefly as an independent nation. Its flag was similar to the flag used by Husein Gradaščevićs revolt of 1830. It was green with a crescent and star, but had more curvature to a typical Islamic crescent moon symbol. 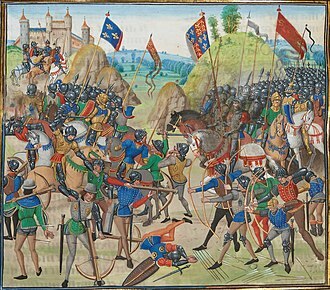 The green/golden flag was in use for only two months. When the Austro-Hungarian Empire annexed Bosnia and Herzegovina the flag was changed, the province of Bosnia used the flag that was red and yellow horizontally, but the province of Herzegovina used the same flag but with reversed colors. The coat of arms is one of Stjepan Vukčić Kosača, Bosnian noble, the original medieval coat of arms had a white background and two red stripes in the top of the shield. Bosnia and Herzegovina had a new coat of arms during the Yugoslav period and it was a symbol of industrialism in Bosnia at the time. 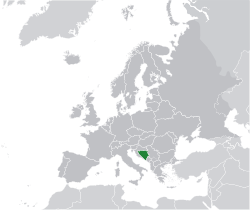 Bosnia and Herzegovina is located in Southeastern Europe, in the western Balkans. It has a 932 km border with Croatia to the north and southwest, a 357 km border with Serbia to the east, and it borders the Adriatic Sea along its 20 km coastline. The most striking features of the terrain are valleys and mountains which measure up to 2386 m in height. The country is mountainous, encompassing the central Dinaric Alps. The northeastern parts reach into the Pannonian basin, while in the south it borders the Adriatic sea, Bosnia occupies the northern areas which are roughly four fifths of the entire country, while Herzegovina occupies the rest in the southern part of the country. The south part of Bosnia has Mediterranean climate and a deal of agriculture. Central Bosnia is the most mountainous part of Bosnia featuring prominent mountains Vlašić, Čvrsnica, Eastern Bosnia features mountains like Trebević, Igman, Bjelašnica and Treskavica. It was here that the 1984 Winter Olympics were held, Eastern Bosnia is heavily forested along the river Drina, and overall close to 50% of Bosnia and Herzegovina is forested. Most forest areas are in Central and Western parts of Bosnia, northern Bosnia contains very fertile agricultural land along the river Sava and the corresponding area is heavily farmed. This farmland is a part of the Parapannonian Plain stretching into neighbouring Croatia and Serbia, the river Sava and corresponding Posavina river basin hold the cities of Brčko, Bosanski Šamac, Bosanski Brod and Bosanska Gradiška. The northwest part of Bosnia is called Bosanska Krajina and holds the cities of Banja Luka, Sanski Most, Cazin, Velika Kladuša, kozara National Park and Mrakovica World War II monument is located in this region. By United Nations law, Bosnia has a right of passage to the outer sea, neum has many hotels and is an important tourism destination. It is a beautiful river and popular for rafting and adventure sports. The Sana flows through the city of Sanski Most and Prijedor and is a tributary of the river Una in the north, the Vrbas flows through the cities of Gornji Vakuf – Uskoplje, Jajce, Banja Luka and reaches the river Sava in the north. 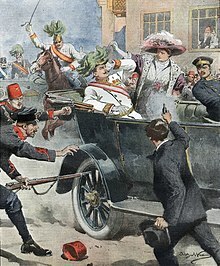 The Austro-Hungarian forces storming Sarajevo. Calcite Crystal found at Trebević mountain around Sarajevo; Bosnia and Herzegovina on display at National Museum of Bosnia and Herzegovina. Dodik with Dmitry Malyshev in August 2012. Dodik with Vladimir Putin Sochi, Russia, 30 September 2018. 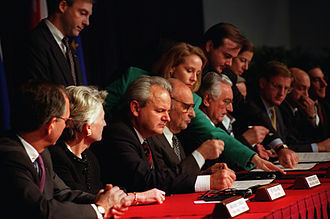 Seated from left to right: Slobodan Milošević, Alija Izetbegović, Franjo Tuđman initialling the Dayton Peace Accords at the Wright-Patterson Air Force Base on 21 November 1995. The signing of the full and formal agreement in Paris. Current and old flags of Bosnia and Herzegovina, along with that of the army flying in front of the grave of Alija Izetbegović. Bosnians at the time of the Austro-Hungarian occupation of Bosnia and Herzegovina. Yugoslavia at the Adriatic, patriotic art. Heavily damaged apartment buildings in the Grbavica district of Sarajevo.